Artist in Residency is Japan’s key to promote their culture through the vision of practicing Artists. The Mino Paper Village project since 1998 have invited artists from all regions of the world to the city of Mino, a rural town in Japan’s Gifu prefecture which is historically known for its handmade paper called Washi. In Japan, paper was known through Buddhism and was introduced in 548. 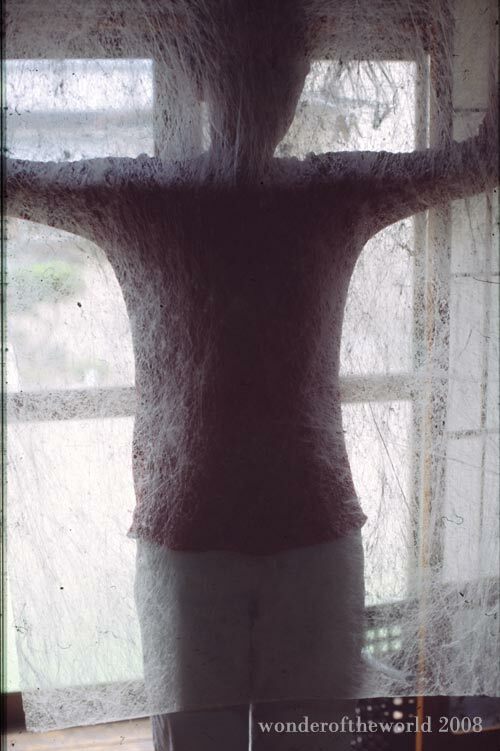 Washi is a strong translucent paper with a history traced to the eighth century. The oldest remaining actual samples of Washi are in Mino, Gifu Chikuzen and Buzen family register paper 702. 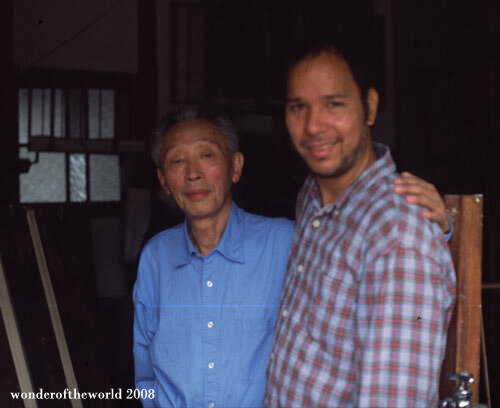 Five international artists in 2002 came together in one small building and for three months they work and focused on ideas to turn the most beautiful paper in Japan in o three dimensional paper works of art. 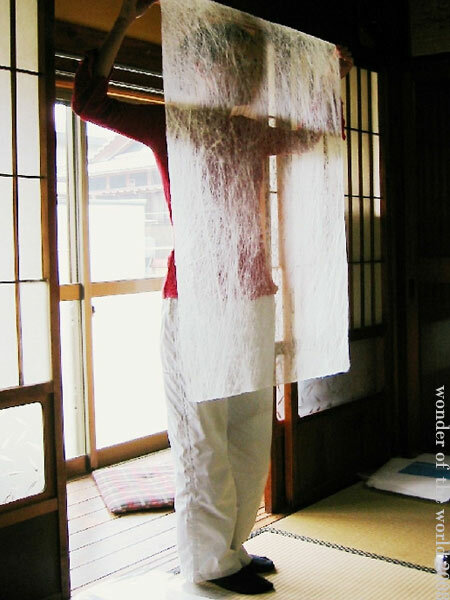 Malgorzata Niespodziewana, one of the five participating artists at the Mino paper village in 2002 desplaying a sheet of washi at Akira Goto’s studio.